This week's posting is a bit delayed, due to having been out of town and missing the usual Wednesday/Thursday posting. I plan to be back on schedule next week. And the more I listen to and research today's song, the more I doubt it's a song poem. 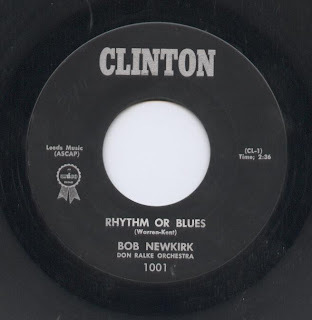 I bought it because it was advertised as such, and because it was listed on ASPMA, which showed the "Clinton" label, with its two known singles, to have been part of the giant Globe family of labels. However, ever since hearing this record, I've wondered about its pedigree. The songs are very good, and the A-side is nothing short of excellent, in my opinion. That could also be said about many of my favorite song-poems, but with a few exceptions, even the greatest song-poems seem to have something "off" about them. 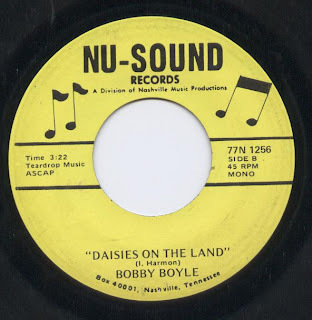 And while the vocalizing on the b-side of this single might not be to everyone's taste, it's not all that unusual in comparison with many of the 45's released in the early '60's. On the other hand, there is precious little information on this platter's label, a song-poem hallmark (if you'll pardon the pun). And it is listed on ASPMA, and there's no way for me to know what sort of other information that organization might have had in determining that the Clinton label belonged there. But then, among that minimal information, there is this: "Don Ralke Orchestra". I learn from Wikipedia that Ralke was a well known Hollywood music insider, who was involved in everything from well received films to the musical endevours of William Shatner and Murry Wilson. That could point to this being a novelty record or a legit release, but seems to make it less likely that its a song poem. But what do I know? I do know this - the A-Side is a hell of a tune, and an equally great performance by both the band and the singer. And the B-Side, while perhaps not as great a song or performance, has an instrumental track that I really enjoy. See what you think, and by all means, offer up a thought or two! This post formerly gave instructions on using Divshare files as downloads. Divshare has since gone belly-up, and anything posted using Divshare will not be usable, either to listen or download. I am now using Opendrive, and posting a downloadable link followed by a play-only link. Please let me know if you have any problems with these. Going forward, I hope to rework all of the previous hundreds of posts with Opendrive links, but this will be time consuming. If there is a particular song you want to hear, which is unavailable, please let me know. Phil Carroll was one of the more productive song-poets of the golden age of the genre. He even appears to have had an entire label-number series dedicated to his works, on the MSR label. 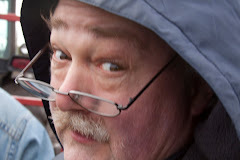 In addition, in the eyes of at least a few people that I know - and probably many more - he was one of the best. Many of his compositions call them his "hits" - have appeared on the various compilations which have been released, or are part of the many tapes which circulate among song-poem collectors. These include "Yippee Hippee", "Dreams of Love", "Watch Johnny Carson", "I Take a Fancy to Nancy", and my personal favorite, "Dreams of Love". Well, this is the eleventh "Song Poem of the Week" post. By my count, I've offered up 23 song poem records, a fairly good spectrum of the records in my collection. There are some I haven't featured, such as recent song-poems which have appeared on CD's from the companies still in business, and anything from Columbine - those being two categories of song-poem which very rarely hold my interest - but I've represented a bunch of different labels and styles. What I'd really like now is some feedback. Those of you who have been stopping by regularly or on occasion: is this what you hoped it would be when I started the project? Is there a certain area or areas - labels, styles or artists - you'd like to see more of (or, for that matter, less of). Do you want it to continue? Do you have any other suggestions? Let me know! In the meantime, here are three records from the Cinema label, performed by the group that was always credited on that label, "The Real Pros". See if you recognize some of the familiar MSR/Preview voices masquerading on the following songs. Finally, "The Legend of Sam"
Today, I'm sharing my latest song-poem acquisition, an eBay special which just arrived in the mail a couple of days ago, by that up and coming group, "The Enchantments". It doesn't sound quite like anything I've shared up to this point, and it doesn't really sound like anything else I've heard on the Brite-Star and Bryte family of labels. Given that it appeared on Brite-Star, it's possible that this was a vanity release, but I'm guessing it's a song-poem. 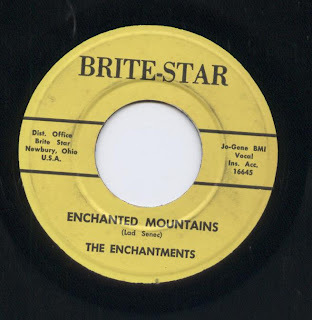 And I really enjoy the A-side, in which the Enchantments, driving home the point of their group name, sing about the "Enchanted Mountains". I really enjoy this bouncy tune, arrangement and performance, all of which sort of remind me of a more sedate version of Mitchell Torok's great 1950's hit, "Caribbean". I particularly like the guitar that's rambling around behind most of the vocal, and also the descending melody at the end of the chorus. The flip side, "All My Love" is not a primordial version of the Led Zeppelin hit, but rather another song in the style heard on the A-side. I don't find this one quite as enjoyable, but it's still a fun listen.